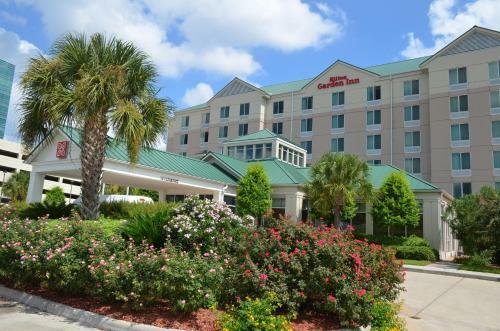 Description: Offering easy access to Interstate 10 and situated in the center of Chinatown, this hotel is a short distance from downtown Houston attractions and provides many of today’s modern conveniences. French: Situé dans le centre de Chinatown et offrant un accès aisé à l’Interstate 10, cet hôtel se trouve à proximité des sites touristiques du centre-ville de Houston et possède bon nombre des commodités modernes de nos jours. Spanish: Este hotel del centro de Chinatown está bien comunicado con la Interestatal 10 y se encuentra a poca distancia de los lugares de interés del centro de Houston. Cuenta con lo último en comodidades. German: Dieses Hotel mit guter Anbindung an die Bundesstraße 10 befindet sich im Zentrum von Chinatown. Es liegt unweit von den Attraktionen der Innenstadt Houstons und bietet viele moderne Annehmlichkeiten. Dutch: Dit hotel ligt dicht bij het stadscentrum van Houston en biedt gemakkelijke toegang tot de Interstate 10. Het hotel heeft vele moderne voorzieningen. Italian: Situato nel centro di Chinatown, con facilità di accesso all’Interstatale 10 e a breve distanza dalle attrazioni del centro di Houston, questo hotel vi offre numerosi comfort moderni. Portuguese: Este hotel beneficia de fácil acesso à Auto-estrada Interestadual 10, está situado no centro de Chinatown, a uma curta distância das atracções do centro de Houston e disponibiliza várias comodidades modernas. This downtown Daytona Beach hotel is 5 miles from the shores of the Atlantic Ocean. It features spacious rooms with free Wi-Fi and a cable TV. A microwave and refrigerator are standard in each room at the Travel Inn Daytona. This modern Dallas hotel features an outdoor swimming pool with poolside cabanas and sleek guest rooms with a 42-inch flat-screen TV. The property is located 5 miles from Galleria Mall. Providing free shuttle service to LaGuardia Airport and the Astoria subway station leading to Manhattan, this Astoria, New York hotel features smoke-free guestrooms and a free hot breakfast buffet. Situated in a historic French Beaux-Arts building, this 4-star Chicago Loop hotel features a tapas restaurant and stylish rooms with 32-inch LCD TVs. Millennium Park is 10 minutesâ€™ walk.